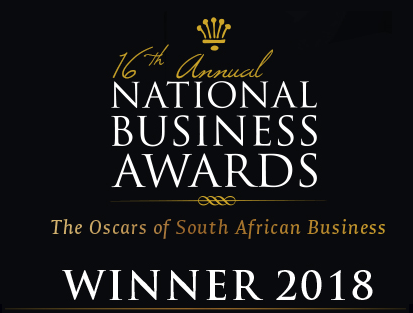 Over the last 16 years, The National Business Awards has become the definitive showcase for South Africa’s most successful companies across various sectors. Through rigorous benchmarking and tracking of industry behaviour Topco Media researches, identifies and celebrates sustainable growth and impact. Innovators and the new economic champions are honoured so that they can showcase their achievements, and share best practices, policies and strategies with other ambitious companies to create an inspirational ripple effect across the economy. We are pleased to announce that Mpact won the 2018 Sustainability Award. Noriah Sepuru, Neil Hunt and Donna-Mari Noble accepted the award on behalf of Mpact. Sustainable development is inherent to Mpact and a key tenet of our vision to be a leading packaging business with the highest ethical standards, delivering exceptional value for customers, employees, communities, and shareholders. We adhere to the highest industry health and safety standards and have a zero tolerance policy on safety incidents. We are committed to responsible sourcing of raw materials, conserving the natural resources we depend on, and ensuring efficient supply chains. To this end, we engage with our various stakeholders on critical sustainability issues such as workplace safety, future resource constraints, employment practices, transformation, diversity, regulatory environment and broader social issues affecting the country. As such, our Group sustainability activities, which are aligned to Mpact's three strategic pillars, reflect this engagement, the integration of our business model, and consider highly the impact of these activities on the environment, our people, our investors, and the communities in which we operate. Mpact's three key pillars of the business strategy, namely, Mpact's leading market position, a customer-focused operating structure and performance are set out in Strategy and Objectives of the Integrated Report. Refer to Mpact's business model.